Lens Description: The Pentax 90mm f/2.8 D FA 645 Macro ED AW SR Lens is a fast, medium-length lens (equivalent to 71mm in 35mm-format) for use with Pentax 645-mount medium format cameras. The f/2.8 maximum aperture provides greater control over depth of field and features rounded 9-blade diaphragm construction. 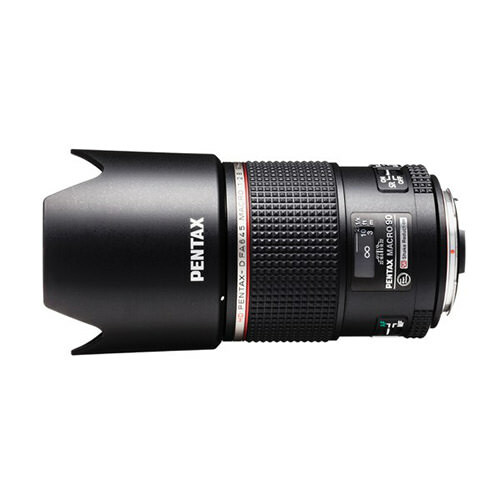 This lens has the Pentax Quick-Shift Focus System for rapid switching between auto and manual focus modes, and integrates a Shake Reduction mechanism for countering the effects of camera shake or image blur.